SKU: BP4000. Category: Backtone Posture Trainer. 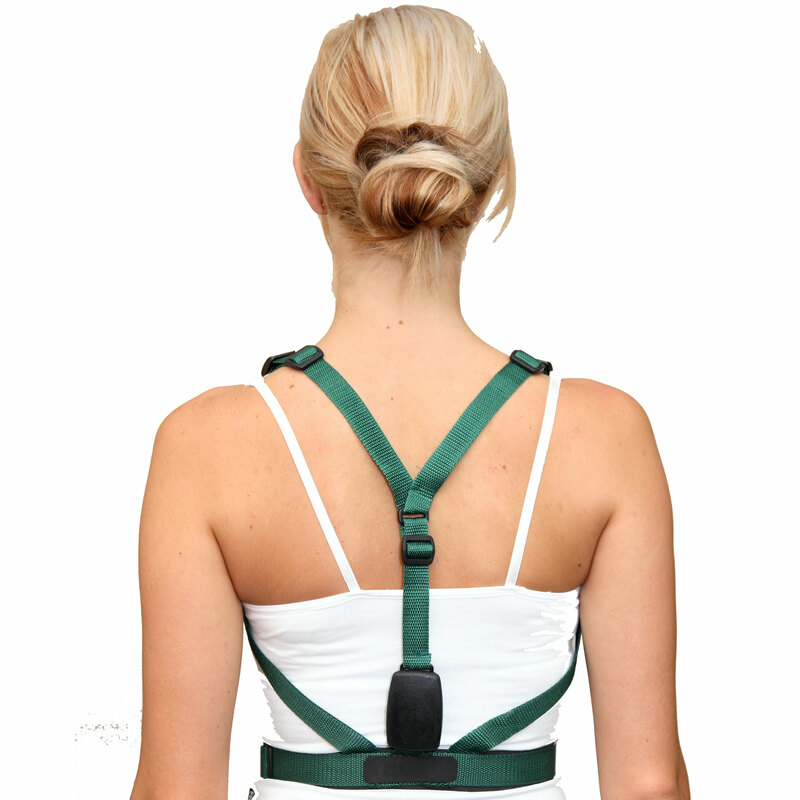 The BackTone 4000 Posture Training Device is a bio-feedback posture Corrector, designed by an Occupational Therapist. It helps improve posture by TRAINING, not RESTRAINING. It is designed to promote good postural habits and prevent slouching. It has a small signaling unit held against your body between the shoulder blades and waist. Adjustable straps hold the BackTone in Place and allows you to set BackTone’s sensitivity to your desired posture. Use for 15-20 minutes up to 3 times a day. Simple to use, comfortable to wear.